Let’s face the truth: Learning to code is challenging and can sometimes be frustrating. You can get lost in your self studies and reach a point where you loose interest and focus on something else because you simply can’t find anymore fun in it. The Ionic Academy aims to to break that pattern and help you to learn to build mobile apps using the Ionic Framework in a more comfort environment. The Ionic Academy is open! While the internet is full of information, you sometimes still don’t find what you are looking for. Although many others are learning the same language you can feel alone from time to time. That’s why the Ionic Academy consists of the following (current) building blocks. To describe and present different topics the Ionic Academy has Courses, most of them being a mix of screen recordings, presentations and sometimes written material. Instead of being overly long sessions where you find it hard to follow, those videos will very rarely be over 7-8 minutes. Because of these shorter videos it’s more easy for you to follow along, quickly complete a session and still keep in mind what you actually learned in the video. You can start with courses you feel comfortable with and work your way up through the material. All your progress is tracked and you can jump back to where you left off, bookmark your special sections and watch them later again! Initially the library will consist of different starting courses for all 3 categories which means everyone can start where he is. This library is by no means complete and will grow more and more over time. After your great initial feedback (thank you so much again!) there is a quite long list of possible future topics to present, and there will be polls about which course to create next so you can actually vote and raise your voice what you think would be useful. Still, this is a democratic process so sometimes you might be in the minority, but the next time your preferred might be selected! The first part of learning was to see something new, the following part is of the same importance if not even higher. You need to use what you have learned! This part of learning something new is unbelievable valuable and helps you to actually keep the knowledge you have gathered. If you don’t transfer what you have seen/read into action there is a high chance of forgetting everything quite fast again. Just think about this: You read an 200 pages instruction handbook for something without actually touching the system meanwhile. Do you think you will still now the stuff you read on page 42 after completing the book? Very unlikely. Therefore, most courses inside the Ionic Academy library have a hands on project at the end where you are presented with a tiny challenge that you have to implement. This challenge is based on the prior course and helps you to take action on the material. These projects are just like the courses divided into the 3 stages of your knowledge. Of course you can also just go though them separately if you want to, but it makes more sense to complete them at the right spot after the courses to save your learnings inside your head! Just like the courses, the initial amount of projects is by no means the final amount. There will be updates and new projects just like there will be new courses from time to time. After learning some material, applying the knowledge by creating your own little projects you might still feel a bit lonely in your learning journey. That’s where the community comes into play! The Ionic Academy has a forum so you don’t feel alone with your problems and questions. There will be helpful people around you which all have the same goal: Learning and building great mobile apps! If you encounter problems with the courses and projects, this is the place to ask your questions. If you are developing your own app using Ionic, you will find friendly and open feedback inside the forum. Even if you have finished most of the courses or projects, there is still something new to explore on the forum. The Ionic Academy will be a membership site with a monthly fee with the option to be paid yearly. While all the material on this blog was and still is free, the Academy offers in depth training and support on a deeper level. The connection between courses, projects and the community crafts a friendly environment for everyone interested in learning Ionic. 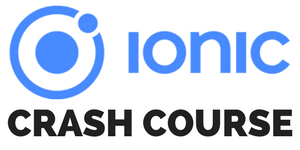 Of course many of you might be still at a student level or living on a small salary, therefore the monthly fee will be small enough for everyone to join the Ionic Academy. Investing in your career is one of the best things you can do as a software developer. The first opening of the Ionic Academy is near, so make sure you get on the early bird list to get notified once we are live. This will be the first opening and of course the library of material will grow over time, and it will be very much influenced by the people who are inside the Academy!